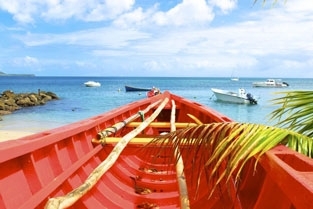 Magical islands, heavenly settings and an easygoing lifestyle… welcome to the Caribbean! It is hard to resist the charm of these islands afloat on a turquoise and indigo sea, where time seems to stand still. Between coral reefs and mountainous reliefs, gentle sea turtles and vibrant flora, this region contains so many natural treasures; an exceptional ecosystem both on land and at sea. Opportunities abound for diving experiences. Whether you choose to travel aboard new Le Champlain, or the sleek, 132-stateroom yacht Le Boreal, you'll appreciate the 5-star comfort, exquisite cuisine and discreet service. Water Sport Activities, Gratuities & Open Bar! 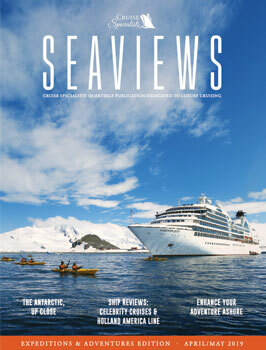 Ask about Special Back to Back Offers and No Single Supplements on Select Voyages! Fares as low as $3,390 and Water Sport Activities, Gratuities & Open Bar!! Water Sport Activities, Gratuities & Open Bar!! Fares shown are in US dollars, cruise-only (except where noted), per person, based on double occupancy in minimum available categories and include all meals while on board. Many other categories available - call for rates. Fares are capacity controlled and subject to change without prior notice. Ask about Single Supplement Waivers on Select Voyages. Safety and port taxes are included in USD fares. Water sports activities (except scuba diving) using the ship's equipment, when permitted by local authorities and confirmed by ship Master according to safety and sea conditions onsite. Non-hosted amenity of $500 Shipboard credit per stateroom on select departures is capacity controlled and subject to change or cancellation. Other restrictions apply. We reserve the right to correct errors.